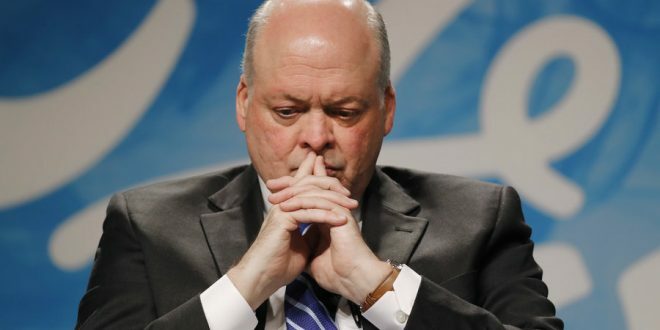 Ford Motor Company CEO Jim Hackett did not mince his words in a recent e-mail to all company employees. Hackett referred to the company’s 2018 performance as “mediocre” and explained that the company’s full-year profit of $7 billion is simply not enough. The e-mail, sent to employees on Thursday and seen by Reuters, outlined how the automaker cannot accept 2018-like results again this year. Hackett told employees it is time to “bury the hatchet” when it comes to 2018, a year in which the company booked a 4.4-percent profit margin. Hackett is stirred up over 2018 because its 4.4-percent profit margin is down from 6.1-percent the year prior. Ford has also outlined plans to generate a profit margin that’s nearly double its 2018 results; a lofty goal considering the current status quo for the company. Ford is undergoing a significant restructuring, launched by Hackett when we became CEO nearly two years ago. The first big piece of this restructuring is the death of nearly all of Ford’s unprofitable sedan lineup, along with pending significant job cuts to Ford Europe operations. The automaker also recently announced a new global alliance with Volkswagen AG regarding the development and production of commercial vehicles. Ford has not offered a 2019 financial forecast to Wall Street. It has simply told investors it has the potential to improve earnings and revenue in 2019.